Quartz and calcite are two common naturally-occurring minerals. In fact, quartz is the second most abundant mineral making up the Earth's crust, whereas calcite is a common component in sedimentary rock (particularly limestone), metamorphic marble and even the shells of various sea organisms. While crystalline quartz and calcite can be similar in appearance, there are numerous qualitative differences between the two. 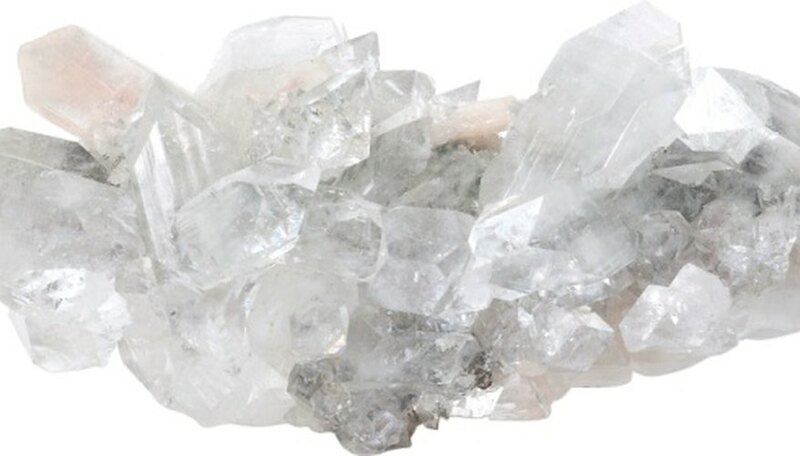 Calcite is a polymorph of calcium carbonate, meaning that it is one of many crystalline forms of calcium carbonate (argonite would be another), whereas quartz is a polymorph of silicon dioxide. Both mineral crystal structures fall under the trigonal-crystal-shape category, though calcite differs slightly in that it exhibits a rhombohedral lattice structure. The difference in crystal structure and chemical bond means that quartz is considerably harder than calcite. A good test for distinguishing the two minerals is scratching one with the other; the one that exhibits scratches is the calcite. Calcite, moreover, like other carbonates, will dissolve in acid. Luster, also called lustre, is a term used to describe the way light is reflected or absorbed by the surface of a mineral, rock or crystal. Quartz typically has a vitreous luster (meaning it appears glasslike), whereas there is greater variation with calcite. Calcite has a luster that ranges from vitreous to resinous (smooth and resinlike) to dull (course and unreflective). Calcite is colorless for the most part (appearing white or clear) though there are often light shades of orange, yellow, blue, red, pink, brown, green, gray and black. Quartz is also generally white or clear, but is often cloudy or mixed together with purple, pink, brown, black and gray. 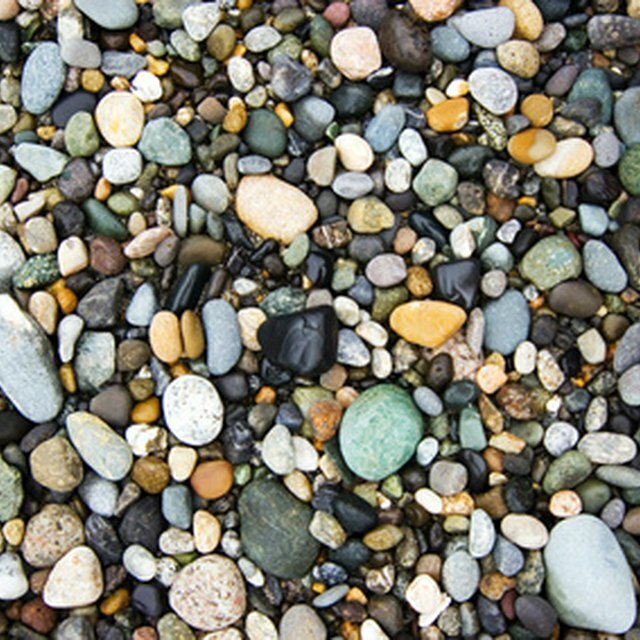 Another way of distinguishing and classifying different minerals is by their cleavage. When a mineral is broken by blunt force (e.g., by a hammer) it shatters along planes of weakness that are inherent to the crystalline structure. These planes are called cleavage. Calcite breaks perfectly in three directions in accordance with its rhombohedron lattice structure. Quartz, on the other hand does not break cleanly and has an indistinct cleavage. Stothers, Patrick. "Physical Properties of Calcite & Quartz." Sciencing, https://sciencing.com/physical-properties-calcite-quartz-8403466.html. 24 April 2017.